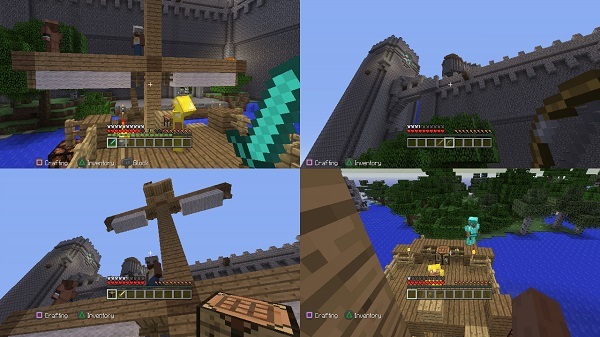 Mojang is planning to bring Minecraft to the next generation of consoles over the next few months. While the PlayStation 3 version of the popular sandbox game has been out for a while, this is the first news of an update for the PlayStation 4. The company is also working on a solution to allow players to port their worlds over from the PS3 to the PS4. A comment on the PlayStation Blog by Mojang’s Owen Hill has also revealed that the company is working on a PS Vita version of Minecraft; and hopes to allow for some sort of discount for PS3 and PS4 owners who already have the game. While the PS Vita version will not be released at the same time as Minecraft for the PS4, it should be arriving within the same year. The company is investigating if it is possible to port PS3 saves to the PS Vita, although it is still too early to say if the feature will make it to the final product. So You Want To Play Hearthstone: Heroes of Warcraft - Here's A Beginners Primer!